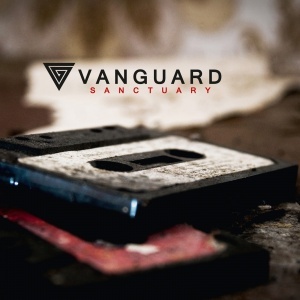 The most recent proposal from Vanguard formation is "Sanctuary" and they are eager to serve us a new perspective on synthpop term. Did they achieve it? Let's look closely. Just in the first song hit us strong, synth sound quite nicely cantilevered to the ear, but with a little banal beat. When the vocals enter... it gets a bit more interesting. Maybe the singer's voice is very collapsing in heart and mind, but the emotional charge, that serves us, defends the whole. It is the same with the second song, Goodbye - a standard beat, but with intense and good emotions. Whole album presents just such a level – while music rather does not surprise us, but level of text and emotions displayed by the singer put up a whole bunch of mesh higher than one would like to evaluate. In addition, the record is well balanced – fast tracks gently pass to the slower ones, slightly melancholic (items 3, 6, 9, 12 can you see what a nice symmetry?). Let's go back to the musical layer. I admit, that they can not really surprise us. Somewhere in one of pieces shyly runs very likely "natural" piano, but quietly and almost imperceptibly... (12). Returns the question, that I often state - are revolutions needed? It is a matter of approach. Overall, the disc is a textbook example of synthpop. There is so much of an interesting harmony, sometimes surprising solutions – but we know it all well, at least we, the children educated in Depeche Mode. That can be easily heard even in the 7 position, In your arms. Next, What did you achieve, starts with a quite dark beat, which corresponds well with overtone of the song, including not a very optimistic text. My personal favorite is the tenth proposal, Trigger. It seems to be the essence of the entire album, there are all possible measures that were implemented before. Gloomy beat, light beat, good text, not so trivial harmony, effects on vocal – it is catchy. Another one, Rage, can be also described that way. A certain end, as the name itself suggests, ends the album - quietly, as a farewell. Nice, little sentimental musical piece. Conclusion - children of dark synth would not be satisfied, DM admirers also will not be satisfied as they should. But those, who generally like synthpop, should be pleased. It is well designed, well thought out, coherent record. What can you want more?